I haven’t blogged about fashion at all ever since I started Appleisblack.com, and I figured that I start somewhere. Today, I like to bring up some nice pair of sneakers I saw over the web. I love Nike sneakers and have been a fan of them since early age. With the proliferation of pirated sneakers, many have succumb to invest their dough on leather shoes or even alternative footwear on the market. However, sneaker collecting is still a culture so strong that sneaker collectors remain adamant towards anti-sneaker piracy. 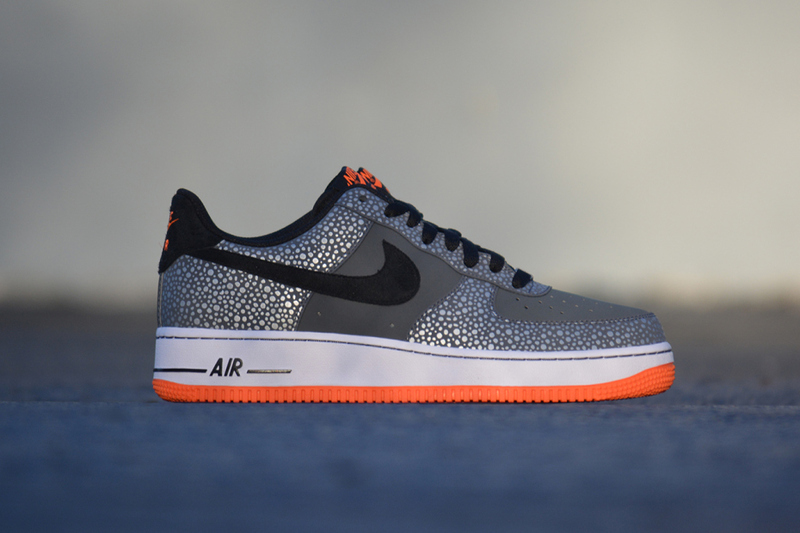 Here, we have the Nike Air Force 1, the “Safari” edition. Very cool indeed. Looking like the Foamposite version, the Air Force 1 features an upper dominated by the printed monograms of the Safari. I particularly love the the black Swoosh and the heel tab. One of its awesome design features is the bright orange sole and the icon printed on its tongue. I think it is definitely an iconic pair to rock when working or during weekends. What do you know? One of the incentives of being a creative is that you get to rock dope fashion in the office, during office hours.